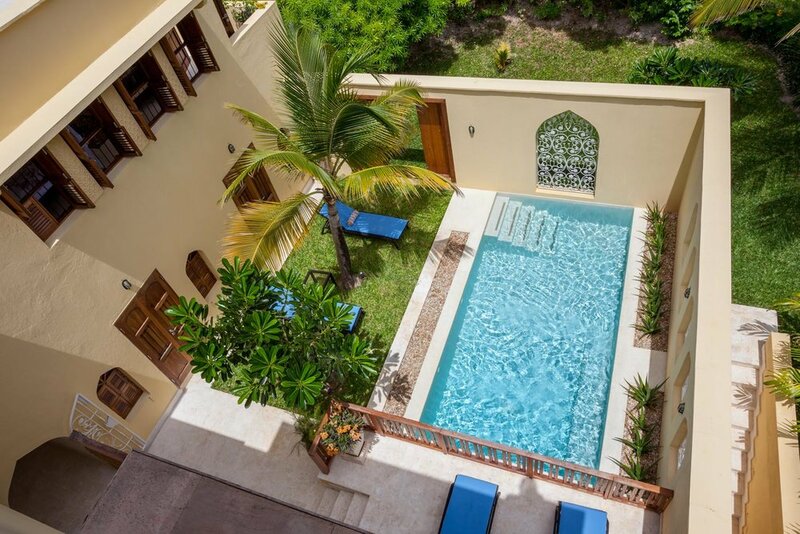 Set on the seafront of the same 4 acre property as Toriana main house, Coral Cottage features five en-suite bedrooms, a plunge pool within its central courtyard, poolside bar, open living & dining area with a spectacular ocean view and a roof top terrace with loungers. Coral has a front and back kitchen with a built in servery off the dining area. Steps away from secret tropical Bofa Beach, Toriana & Coral Cottage is the perfect coastal retreat for families or a group of friends. Coral Cottage is fully serviced with 24-hour security, a private chef and housekeeping to ensure a beautiful and serene coastal retreat. Enjoy fresh, world-class meals served al fresco on vast terraces overlooking four acres of Kenyan waterfront. 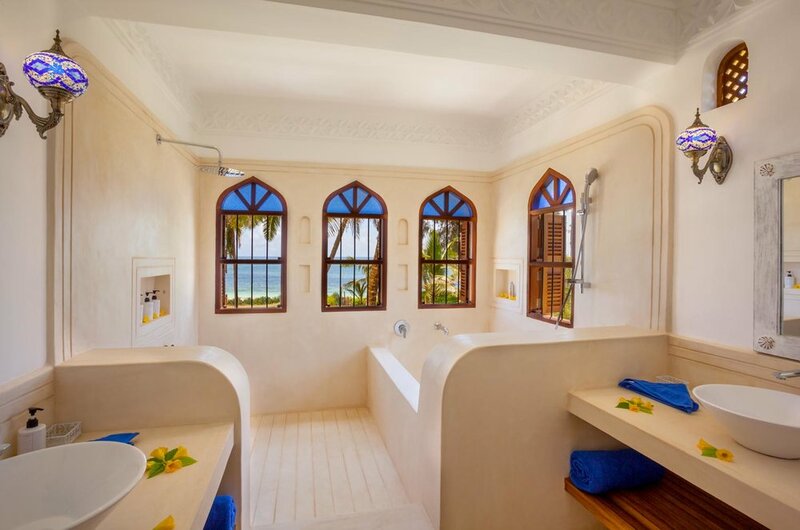 Be inspired by the graceful arches and authentic detailing of Swahili and Moroccan architecture. Walk the white sand of Bofa beach and swim in the jewel-toned ocean footsteps away. 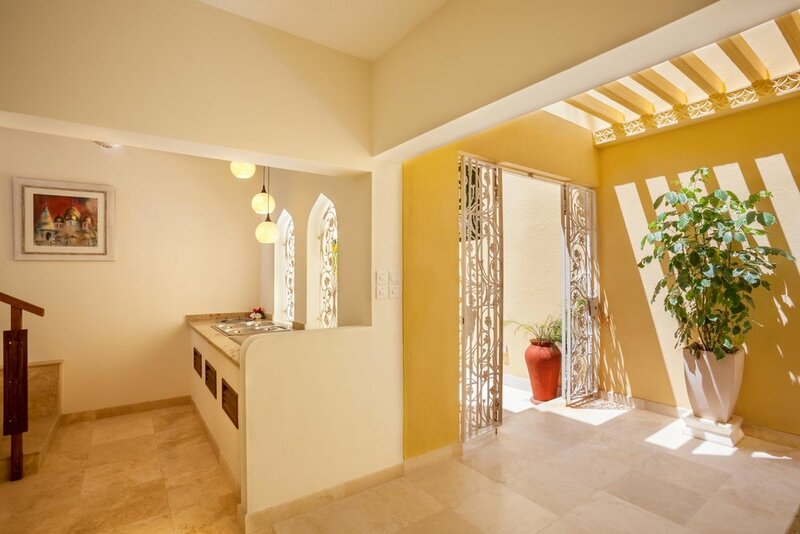 With our dedicated staff providing all the creature comforts of a private beach side home, our guests will have time to explore the palm-fringed beauty of the coast and dive into the culture and lifestyle of the charming seaside town. 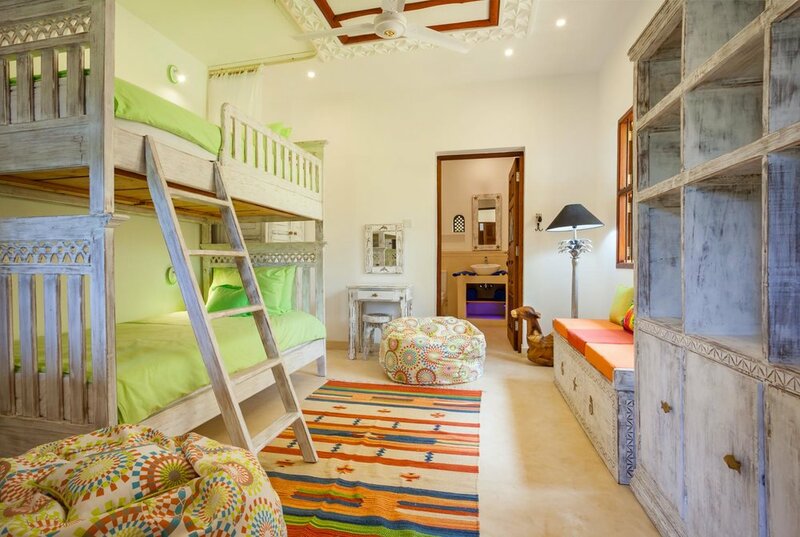 All the rooms have air conditioning with overhead fans and spacious bathrooms. Fully catered at KES 4,000 per person per day (Recommended) . Kids under 12 KES 2,500 pd . Amendments to the menu can be made with payment required at time of purchase (i.e. cheese, shellfish). View Coral Cottage on a map , google maps is outdated here so does not show up to date satellite image, just location.